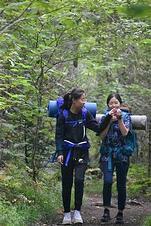 Our Grade 9 students have already recorded their first significant Duke of Edinburgh programme accomplishment, and they did it together. 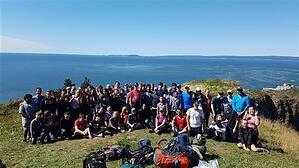 Last Saturday, September 8th, the ‘Class of 2022’ hiked to the end of Cape Split and back for their adventurous journey practice hike. With 13 km of backpacking now under their belts, the crew is well prepared for the upcoming overnight trip to Kejimkujik Park on September 20-21. Our hike took place on a beautiful day and the class discussed the Bay of Fundy ecosystem, tidal power and history of the region. All our students are on their way to potentially earning their Duke of Edinburgh Bronze award, which will be completed by many by the end of this School year. The highest tides in the world are certainly a nice metaphor for the dynamism that boarding school life will provide for our Junior School leaders throughout the year. 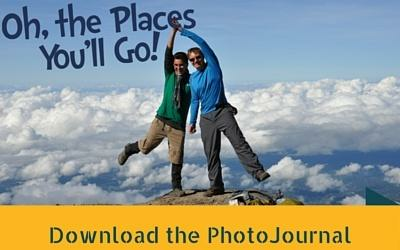 Download the King's-Edgehill School's "Oh, The Places You’ll Go!" PhotoJournal to find out more about outdoor camping and outdoor education and how your child can travel as far afield as Europe and Africa!